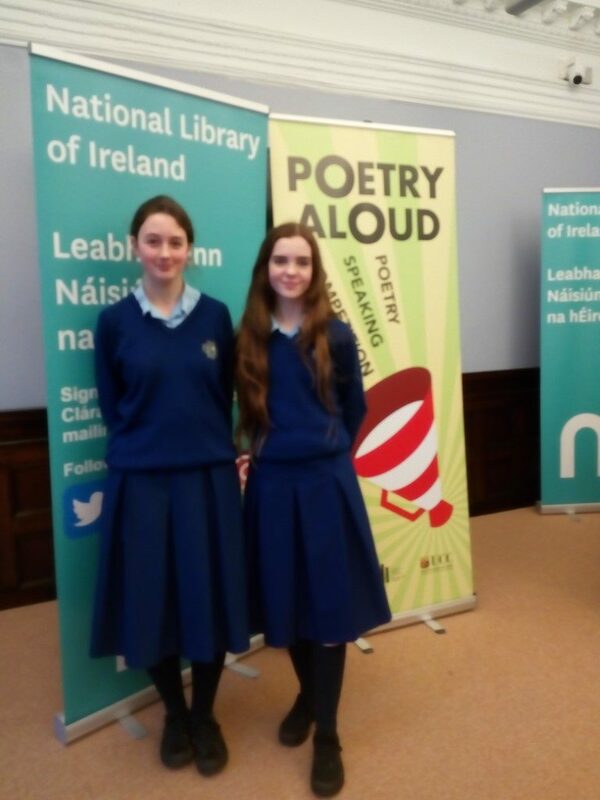 The semi-finals of the Poetry Aloud Competition took place on Thursday 22 November in the National Library of Ireland, Kildare Street. Maryfield’s semi-finalists in the Intermediate Category were Sara Coogan and Aoife Kehoe. Both students were flawless in their recitals of both their prescribed poem ‘The Great Blasket Island’ by Julie O’Callaghan and their personally chosen poems from one of the prescribed Anthologies. Judges remarked that they found the standard very high and complemented all competitors who reached this stage of the competition. Sara and Aoife came away with the award of being a semi-finalist from well over 1,300 entrants and look forward to the Poetry Aloud Competition in 2019.